There is something about Disney World. It’s hard to explain or put into words what it is. More than one person has told me about “that feeling when you walk down Main Street and see the castle” , that feeling when you are there, the entire world goes away. I know it well, I feel it too and it’s why I love the place so much. As much as I already loved it, there was a specific event that amplified the love of Disney for me. It was a chain of events that led to a very short 2 second moment. But that 2 second moment was so exciting and special, I knew I was hooked for life. It started on our family trip in August of 2010. I took a video, a short little 6 second video with my Flip Camera. I took lots of videos. But this one was really cute. This was the year Disney was prepping for their Share the Memories theme for the following year. In September they started a website where people could share their memories, pictures and videos of their magical moments. I shared this video and another cute one from our trip. And life went on. In December I was contacted by Disney marketing. They wanted me to sign release forms because they may want to use my video for something or other. I did. They sent me some lovely character lithograph prints as a thank you and told me if it was used in a commercial they would sent me a copy on DVD. Commercials started popping up on tv where Disney used people’s actual home videos, some shared from that site to promote their Share the Memories theme. These were mainly people surprising their kids with trips, they all made me cry. In January, on my internet travels one day I saw that this new show would be debuting soon. The Magic, the Memories and You. A 10 minute lights and special effects show projected onto the castle each night before Wishes. A few days later, was the debut for the media. One of the big blogs posted the video online the next day. I sat and watched it, teary eyed the whole time. Then it happened, almost at the end, the last possible moment, the last little face on the screen before it goes dark and Walt says, “to all who come to this Happy place…” there he was. My little guy’s face up on the castle at Magic Kingdom. I jumped, I screamed. I called my husband right away and told him that we are going to Disney again this summer. We HAVE GOT to see this in person! That little moment from riding Dumbo made it into the show. We did go that August. We sat right in front of the castle and got to see it in person. It was an incredibly magical moment. Fan for life now. And so is my little guy. He is my Disney nut. We’ve had other pixie dust moments on trips, but that moment was the BIG one. The one that sealed the deal for me and my love of Disney. I’d love to hear from you, what are some of your magical moments from your trips? The BIG news of the day is Disney has FREE dining back for the Fall. Most dates between August 31 and December 23 fall into the FREE dining promotion. Booking is open for Disney Visa Card holders and opens to the general public next week. A non-discounted 6-Night/7-Day Magic Your Way® room and ticket package includes the Disney Quick-Service Dining Plan at select Disney Value Resort hotels and the Disney Dining Plan at select Disney Moderate, Disney Deluxe or Disney Deluxe Villa Resort hotels. This special offer is for arrivals most nights Aug.31-Oct. 3, Oct.26-Nov. 1, Nov.9-20, Dec. 12-23, 2014. Book by Aug. 8, 2014. 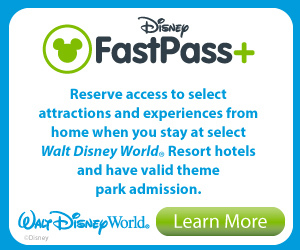 Disney Visa Card members are also eligible for up to 30% saving on room only bookings at select Walt Disney World Resort hotels for stays most nights Aug. 16-Oct 3, 2014 when they book by Aug. 8, 2014. Percentage based on resort category. The summer promo is still going on as well. And let’s not leaving cruising behind. Royal Caribbean has a WOW offer for the month of May as well. 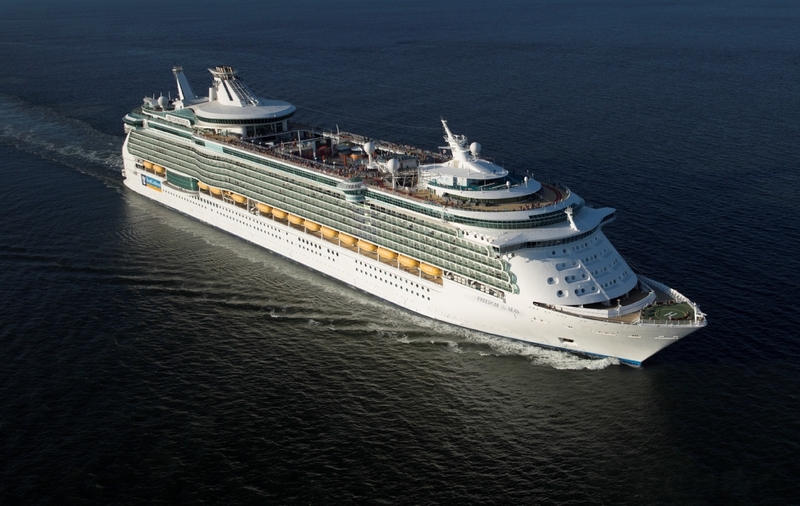 Royal Caribbean is offering a BOGO Sale – Buy one get one 50% off for 2015/2016 sailing. Book from May 1-31. Contact me for more details or to get a no obligation quote on any of these fabulous deals! The ultimate summer poolside beverage! This is a secret drink only available at the poolside bar at the hotel pool featured in the picture. Can you guess where? It’s not on the menu, only those in the know, know to order it and only certain bartenders can make it. Happy Hunting! What’s your favorite “poolside at Disney” beverage? Today, May 1st, Hollywood Studios celebrates 25 years. The first 2 times I visited the park, it was still Disney’s MGM Studios and I call it that a lot still to this day. On our last trip, this park became a favorite of my boys. They are getting older and having a few more thrilling rides was a big plus. We all love Toy Story Mania, but Rock N Rollercoaster became the boy’s new favorite. They even got me on it, and I had never been on a coaster that went upside down before then. I rode it at least 5 times and I am screaming and look like a dork in the picture on every single ride. It was fun though! My favorite ride though at Hollywood Studio’s has to be the Tower of Terror. Enter the Twilight Zone! I am not crazy about the drops, especially when they do a lot, every ride is a different sequence. But I love seeing the park out the window for a few seconds before the drop and I love the old dilapidated hotel. The theme design at this attraction is just spot on! Right down to the Cast Members and their attitudes. What’s your favorite attraction at Hollywood Studios?